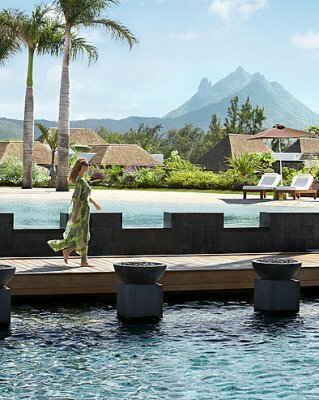 Four Seasons Resort Mauritius at Anahita offers 123 spacious villas and residences designed to inspire connection with the natural surroundings. Our Lagoon Pool Villas and Presidential Suite are located on our private 4.5-hectare (11-acre) island, Ile aux Chats, while our Mangrove Pool Villas, Garden Pool Villas and Private Residences are on the mainland. Large windows and doors allow seamless indoor/outdoor living and provide inspiring views in all directions-from the calm, quiet lagoon to the backdrop of the Bambou Mountains-overlaid with a sense of peaceful seclusion. 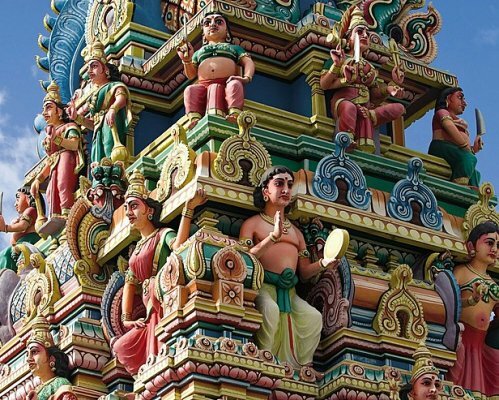 Tranquil decor rich with natural woods, volcanic stone and other indigenous materials brings the flavour of Mauritius indoors. Thrill to the oceanfront finish on the Ernie Els golf course. 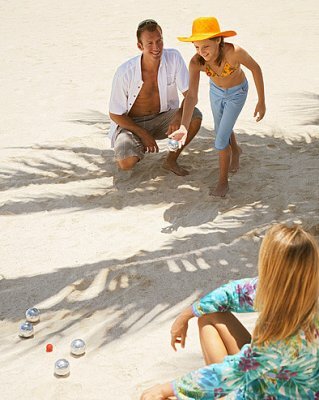 Splash with the family on serene lagoon beaches. Instill tranquility with regionally-inspired treatments in an over-water spa. 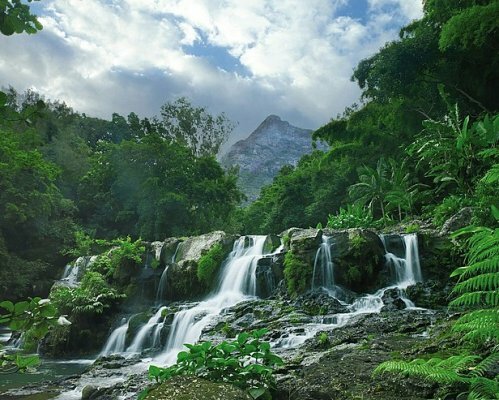 Fill every moment with a sense of natural connection and exquisite retreat. 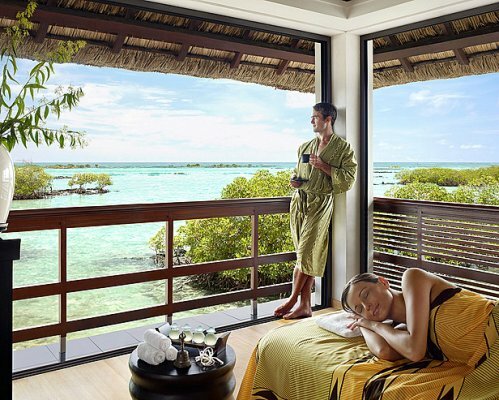 The full-service spa hovers above the turquoise waters of the lagoon, where ocean breezes and gentle waves lull spa guests into a sense of peaceful relaxation. The spa features twelve over-water treatment pavilions, including eight pavilions designed for two and four individual pavilions. 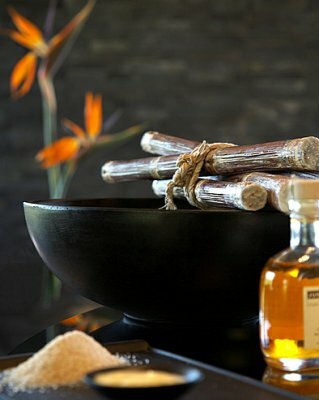 Enjoy individual treatments or share side-by-side spa experiences with your companion, family or friends. Immersed in the serenity of lush tropical gardens, the Resort’s state-of-the-art fitness centre offers a calm oasis for the fitness enthusiast, with a semi-Olympic lap pool, Technogym equipment, Powerplate, spinning, rowing machines and a boxing area. Complimentary classes provide expert Four Seasons guidance in jogging, water aerobices, circuit training, stretching, spinning and other activities. The infinity-edge pool is located on the Resort’s private island of Ile aux Chats, facing the picturesque turquoise lagoon. With the breathtaking effect of floating above the lagoon, the infinity-edge pool is an ideal place to enjoy a relaxing swim while appreciating the beautiful view of the ocean and nearby islands. Players of all levels can enjoy our two Astro Wimbledon synthetic grass tennis courts managed by Peter Burwash International (PBI). Equipment is available at the Pro Shop, where lessons can also be arranged with the resident PBI tennis professional. PBI offers a complete range of instructional programmes, including private and semi-private lessons, weekly clinics, vigorous drill sessions and more. Around the clock, Four Seasons can assist you with business, entertainment or travel arrangements through the business centre and our resourceful, multilingual Concierge. 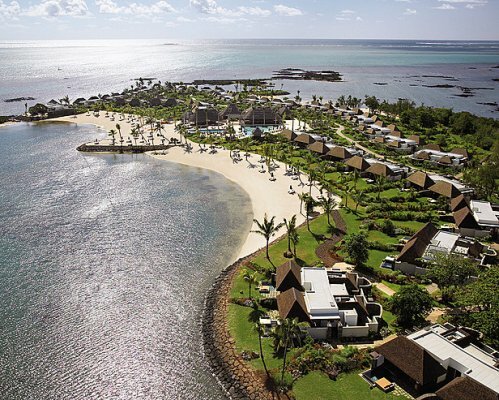 Whether yours is just beginning, all grown-up or at any stage in between, Four Seasons Mauritius at Anahita is a wonderful base for your family. 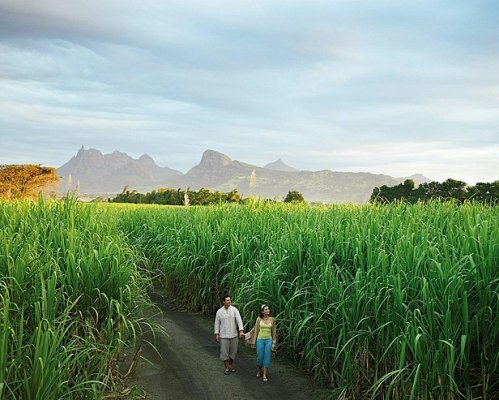 We go out of our way to make our youngest guests feel welcome, and our resourceful Concierge is always close at hand – to make reservations for a family dinner, arrange a trip to the Sugar Adventure, organise a birthday party or help arrange a babysitter. With 24 hours’ notice, we can arrange reliable babysitting services for your little ones. We will do anything possible to accommodate requests with shorter notice. Please note that there is an hourly fee for this service. For more information, please contact the Concierge. 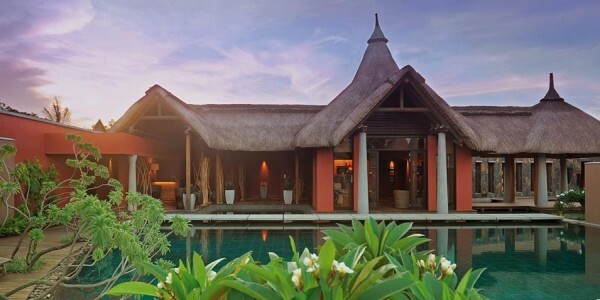 Our Garden Pool Villas, Mangrove Pool Villas and residence villas are situated on the mainland. 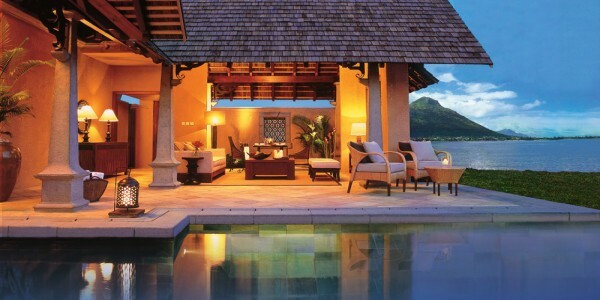 Lagoon Pool Villas and the Presidential Suite are located on our private 4.5-hectare (11-acre) island, Ile aux Chats. Positioned right on the pristine beach of the Resort’s private island, Ile aux Chats, Beach Villas feature their own plunge pool and private garden. Large windows and doors open onto an outdoor living and dining area that more than doubles the size of the villa. An additional 100 to 107 square metres (1,076 to 1,151 square feet) of outdoor space includes a plunge pool, a daybed, a covered patio with dining area that seats four and an exclusive garden. Additional amenities include a 94-centimetre (37-inch) plasma screen television with DVD player, private bar, tea/coffee-making facilities, espresso machine, iPod docking station and wireless Internet connectivity. The bathroom features natural stone floors, a deep soaking tub, a walk-in closet, separate WC and a private exotic outdoor garden shower. 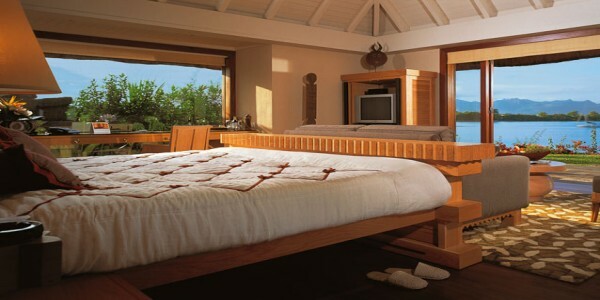 Décor:	Colour schemes in soft natural hues, accented with wood, with an exotic blend of contemporary Mauritian style. Secluded on the Resort’s private island, Ile aux Chats, Ocean Villas feature their own plunge pool and offer blue vistas of the ocean or lagoon beyond lush private gardens. Large windows and doors open onto an outdoor living and dining area that more than doubles the size of the villa. The beach is just a short walk away. Situated on the mainland, Mangrove Pool Villas offer private garden views as well as panoramic views of the natural formation of mangrove trees. Large windows and doors open onto an outdoor living and dining area that more than doubles the size of the villa. Additional amenities include tea/coffee-making facilities, ironing facilities, satellite television with 39 channels, a 94-centimetre (37-inch) plasma screen television with DVD player, private bar, iPod docking station and wireless Internet connectivity. The bathroom features natural stone floors, a deep soaking tub, a walk-in closet, a private WC and an exotic outdoor garden shower. 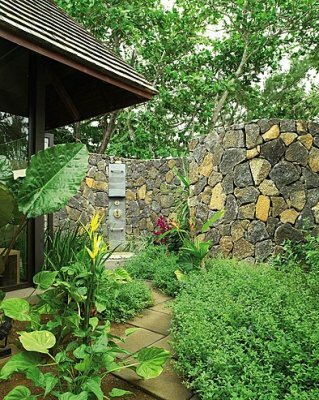 Situated on the mainland, Garden Pool Villas offer beautiful views of their own private landscaped garden. Large windows and doors open onto an outdoor living and dining area that more than doubles the size of the villa. The bathroom features natural stone floors, a deep soaking tub, a walk-in closet, a private WC and private exotic outdoor garden shower. Located on Ile aux Chats, the luxurious Presidential Two-Bedroom Suite features spectacular panoramic views of the ocean and the lagoon. Ample indoor and outdoor living space includes a covered patio with an adjoining private swimming pool and daybed. An additional 280 square metres (3,013 square feet) of outdoor living space includes a covered patio with dining area that seats four, an adjoining private swimming pool and a daybed. The suite offers a dining area that seats 10, a separate living room, a study, a kitchen and a dressing room. Additional amenities include a 107-centimetre (42-inch) plasma screen television entertainment centre, private bar, espresso machine, iPod docking station, iMac and wireless Internet connectivity. The suite has two full bathrooms, each with a separate rain shower, private WC, walk-in closet and a private exotic outdoor garden shower. The master bathroom also offers a whirlpool tub and steam shower room with lagoon view. For added convenience, the suite features a guest powder room. 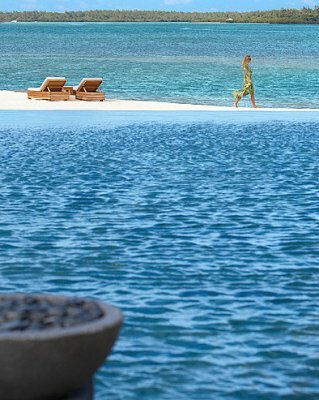 Nestled on a secluded peninsula, the Royal Residence Villa enjoys its own beachfront and panoramic views of the lagoon. It features spacious indoor and outdoor living areas and a covered patio with adjoining private plunge pool. The villa offers expansive outdoor living space with a heated infinity-edge pool, two dining areas and a balcony lounge area furnished with chaises longues. The indoor living space and separate den each feature home entertainment systems. This two-storey pavilion houses extra-spacious lounge areas, a dining area and a breakfast area. Each of the villa’s four bedrooms offers its own ensuite bathroom and a 107-centimetre (42-inch) LCD television with DVD player. The full marble bathrooms each have a twin vanity and a private WC and rain shower, with private outdoor showers on the ground floor. Nestled on a secluded peninsula, Six-Bedroom Grand Residence Villas offer panoramic views of the lagoon and the natural mangrove formation. The villas feature spacious indoor and outdoor living areas and a covered patio with adjoining private plunge pool. The luxurious villas offer expansive outdoor living space with adjoining private pool, two dining areas, each accommodating eight guests, and a balcony lounge area furnished with chaises longues. The living space and separate den each feature home entertainment systems. This two-storey pavilion houses extra-spacious lounge areas, a dining area for 10 and a breakfast area for six. 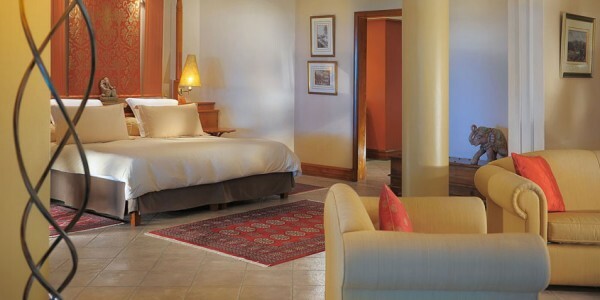 Each bedroom offers its own ensuite bathroom and a 107-centimetre (42-inch) LCD television with DVD player. The full marble bathrooms each have a private WC and rain shower, with private outdoor showers on the ground floor. Nestled on a secluded peninsula, Five-Bedroom Grand Residence Villas offer panoramic views of the lagoon and the natural mangrove formation. 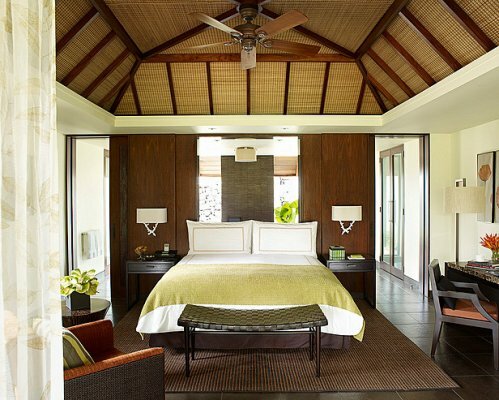 The villas feature spacious indoor and outdoor living areas and a covered patio with adjoining private plunge pool. Situated on the mainland, Five-Bedroom Deluxe Residence Villas offer beautiful views of their own private landscaped garden, as well as partial views of the lagoon and golf course. A short walk to the Ile aux Chats private island and beach, these deluxe residences feature both indoor and outdoor living areas and a patio with adjoining private plunge pool. Deluxe Residence Villas feature an outdoor living area furnished with chaises longues, a heated infinity-edge pool with sun loungers and a dining area that seats eight. The indoor living area features a 107-centimetre (42-inch) LCD television with DVD player and home theatre sound system. Each residence villa offers a separate dining area, a full kitchen and a private study. Villas include a guest powder room, ensuite bathrooms with private WC and separate shower with rain shower, and an outdoor garden shower off the master bedroom. Situated on the mainland, Four-Bedroom Deluxe Residence Villas offer beautiful views of their own private landscaped garden, as well as partial views of the lagoon and golf course. A short walk to the Ile aux Chats private island and beach, these deluxe residences feature both indoor and outdoor living areas and a patio with adjoining private plunge pool. Each residence villa offers a separate dining area and a full kitchen. Situated on the mainland, Three-Bedroom Garden Residence Villas offer the exclusivity of a private home, featuring spacious indoor and outdoor living and dining areas and their own covered patio with adjoining private plunge pool. An additional 1,150-square-metres (12,374-square-feet) of outdoor living space includes a covered patio with dining area for six and an adjoining outdoor private plunge pool with a daybed and garden. Each residence offers a separate living room, a dining area that seats eight, a full kitchen and a private study. Additional amenities include tea/coffee-making facilities, ironing facilities, a 107-centimetre (42-inch) plasma screen television with DVD player, satellite television with 39 channels, private bar, espresso machine, iPod docking station and wireless Internet connectivity. The residence features two full bathrooms and one bathroom without a bathtub. Each features a private WC, a separate shower with rain shower and an outdoor garden shower. 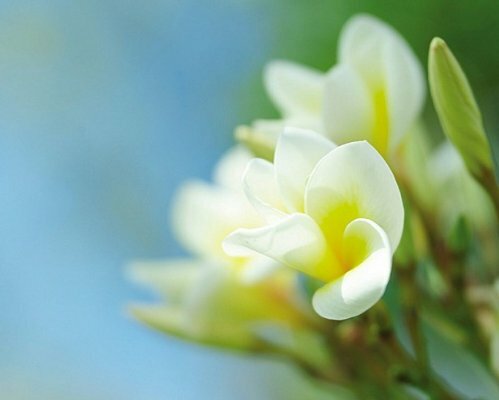 Situated on the mainland, expansive Two-Bedroom Garden Residence Villas offer ample room for friends and family to experience Mauritius together. These luxurious residences feature both indoor and outdoor living areas and a covered patio with adjoining private plunge pool. An additional 1,070 square metres (11,513 square feet) of outdoor living space includes a covered patio with dining area for four and an adjoining private plunge pool with a daybed and garden. The residence’s two full bathrooms each feature a private WC, a separate shower with rain shower and a private outdoor garden shower. 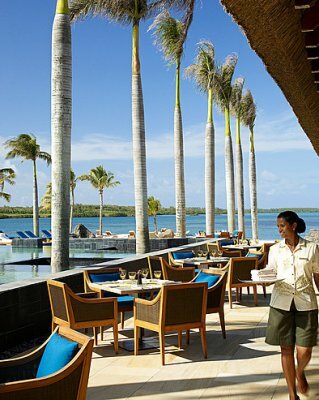 Four restaurants and the casual O-Bar ensure a tempting array of choices at Four Seasons Resort Mauritius – most with views from the very edge of the water. At Le Club, diners enjoy green perspectives of the 18th hole. 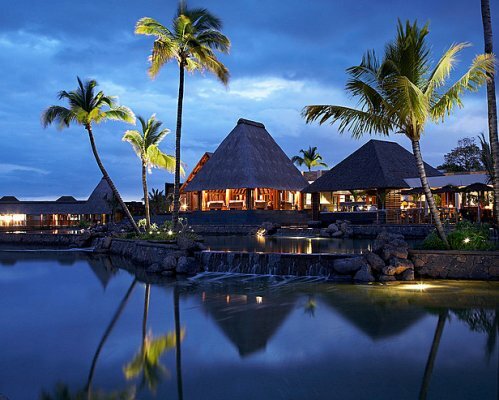 In a stunning open-air setting looking across the lagoon on the Resort’s private island, Ile aux Chats, Acquapazza serves contemporary Italian cuisine with an emphasis on seafood in a warm, elegant yet informal atmosphere. The restaurant offers an extensive list of at least a hundred Italian wines and has a private dining room ideal for small gatherings. Overlooking the bridge over the lagoon, this contemporary steakhouse, featuring an open-concept kitchen, offers an elegant and unique dining experience. Its open wine cellar is the ideal place for an exclusive wine tasting, and features more than 200 labels with a focus on French wines. In addition to indoor dining, guests may choose from three outdoor pavilions that can serve as private dining spaces and are separated by an impressive water setting. Open for breakfast and dinner, Beau Champ is a comfortable, intimate, informal yet elegant restaurant. Situated on the Resort’s private island and facing a white-sand beach, Bambou offers a relaxed poolside location to enjoy casual international favourites for lunch, with its own sushi bar and teppanyaki table. For dinner, Bambou features an à la carte menu that reflects the many flavours of Asian Cuisine. The spacious multi-level dining area offers both indoor and outdoor seating. 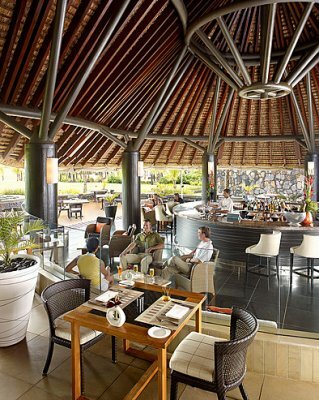 Located in the Golf Clubhouse, Le Club overlooks the 18th hole and is the perfect spot to relax after a round of golf. Golfers and other guests may enjoy lunch, served à la carte. The roof of the Clubhouse has been designed to complement the backdrop of Bambou Mountain when seen from the 18th hole, with the visible support structure adding a dramatic contemporary feel to the traditional thatched roof. 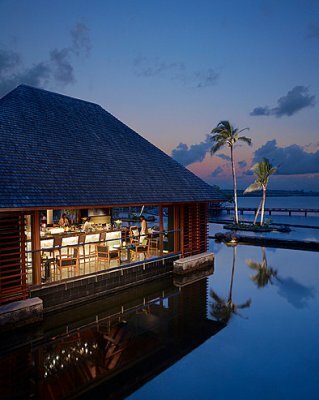 Adjacent to Beau Champ, overlooking the lagoon and the Resort’s private island, Ile aux Chats, O-Bar offers a menu of fine wines and spirits, innovative cocktails and thirst-quenching beverages complemented by casual fare. This sophisticated yet comfortable bar and lounge is the prime destination for a pre-dinner cocktail or after-dinner cigar and cognac.